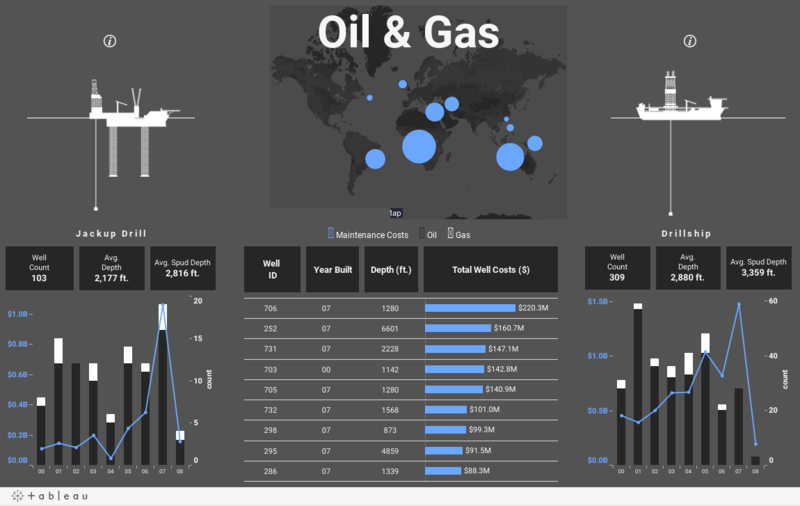 This dashboard tracks data for an oil and gas company that has various types of drills in many locations around the world. It reflects both oil and gas data from individual drills, making granular analysis possible. The world map is a filter that leverages geographic data, allowing users to look at drills in one or many locations. data is also sliced by drill type to effectively compare the two side by side.